Trim packages are there for that extra little pizzaz on cars. Because why would you want a base Camry like your neighbor’s got when you could get the Camry XSE V6? These packages don’t usually amount to much more than a unique paint and maybe some suspension work and interior features. But they’ve been deemed “special” and must have cool names to boot. The XSE V6 is a boring name that tells me nothing about the Camry. And Range Rover’s “Autobiography” trim sounds plain terrible to Sean, a reader who wrote in. It makes him roll his eyes—and I’m inclined to agree. A trim for a bougie SUV named after an account about yourself written by... yourself? Sounds like narcissism run amok. What are some Good and Fine names for trim packages? Jalopnik top man Patrick George suggested the Mazda MX-5 Dakar. Has a Miata ever run in the Dakar? No. Should a Miata run in the Dakar? Absolutely. Would it only go about 14 feet before getting stuck? Most definitely. So, until then, we have a Twilight Blue one. 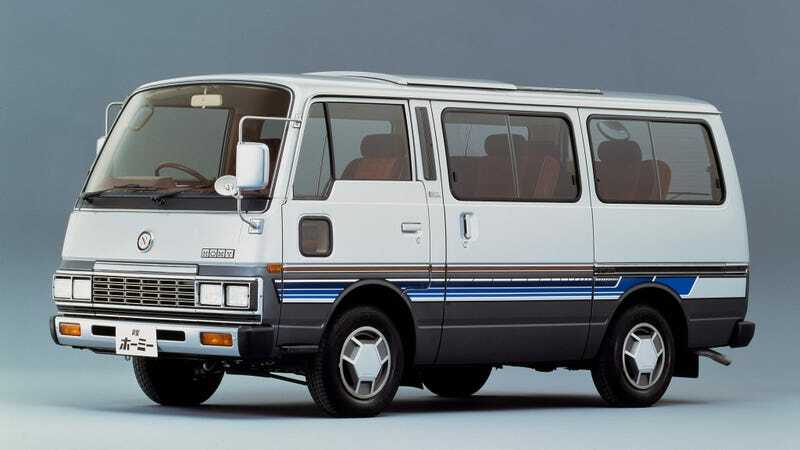 And let us not forget the lovely Nissan Caravan Silkroad Planetaroof van from the 1980s, as Raphael Orlove was kind enough to point out. The Silk Road was a luxury trim with seven captain seats. What does Silkroad actually mean? Who cares, it’s fantastic. Trim is supposed to bring some color to a car and their names should, too. What are some other awesome names for trim levels that you’ve come across?